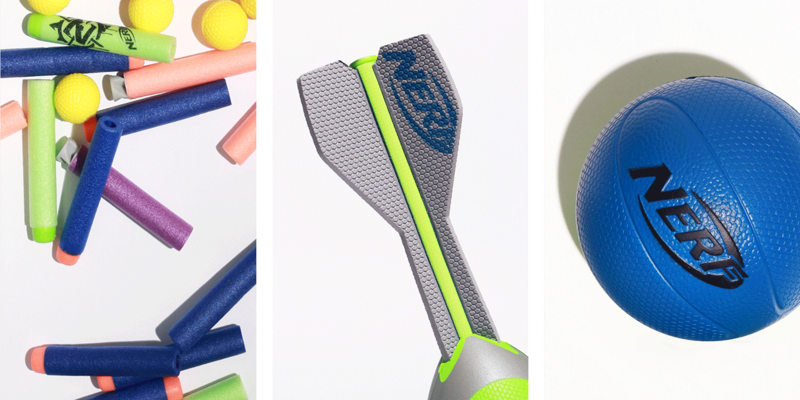 Nerf's Vortex Howler (l.) and Vortex Aero Howler (r.) are basically Nerf footballs fitted with fins for improved aerodynamic performance. 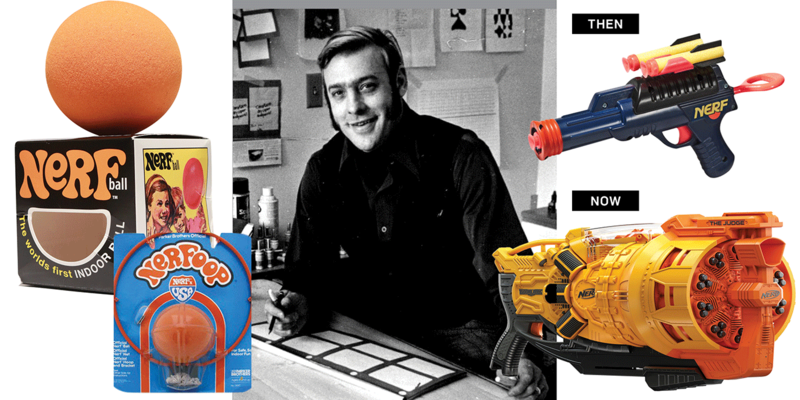 On a Monday morning in 1968, Reyn Guyer discovered one of the world’s most famous toys by accident. Guyer, the inventor who’d come up with Twister, was in his conference room, testing a new caveman game with colleagues. The prototype included a bunch of foam-rubber rocks that, the men soon discovered, were more fun to throw at one another than use in the game. And then something really hit them: “We had inadvertently created the world’s first indoor ball and broken the parental rule ‘no throwing balls in the house,’” Guyer recalled. The Ammo: These innocent-looking little dimpled balls are the rounds for Blasters like the Nerf Rival, a serious shooter that pops them out at 68 mph. 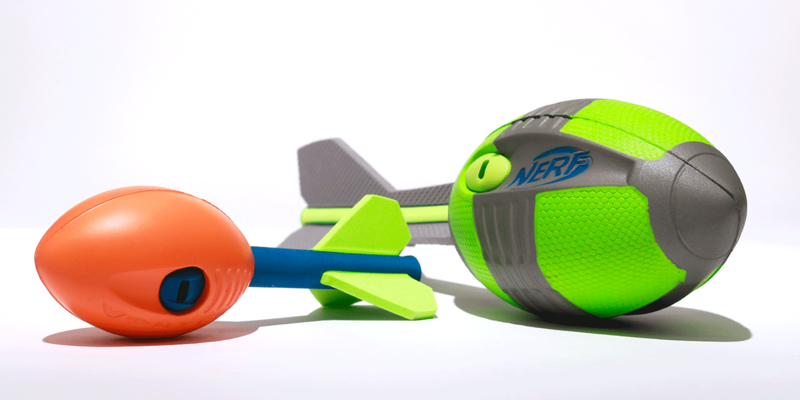 ; The Tailfins: The Nerf Football evolved into the Vortex Aero Howler, whose shaft and fins purportedly allow for improved aerodymanic performance in flight. ; The B-Ball Still a brisk seller after 45 years on the shelf, the Nerfoop basketball set now comes with this slightly firmer blue foam ball. After shaping the foam rubber into a ball, Guyer shopped it around. Milton Bradley didn’t want it, but Parker Brothers did. Then America did. When the Nerf Ball hit store shelves in 1970, it was a revolution that brought backyard ball into the living room. “Throw it indoors,” barked the package copy. “You can’t damage lamps or break windows. You can’t hurt babies or old people.” By year’s end, 4 million Nerf balls had sold. L. to r.: The original Nerf Ball of 1970 was an immediate hit. ; Nerfu2019s basketball set first appeared in 1972.; Nerf inventor Reyn Guyer in his workshop. ; In 1992, the appearance of the Sharpshooter (then) marked a significant shift for the Nerf foam, which began to be used for projectiles. Still wildly popular, the Blaster line has morphed to include otherworldly creations like 2017u2019s Nerf Doomlands The Judge Blaster (now), which boasts 10 turrets, each with three rounds. Actually, this was just the start of what the world wanted. 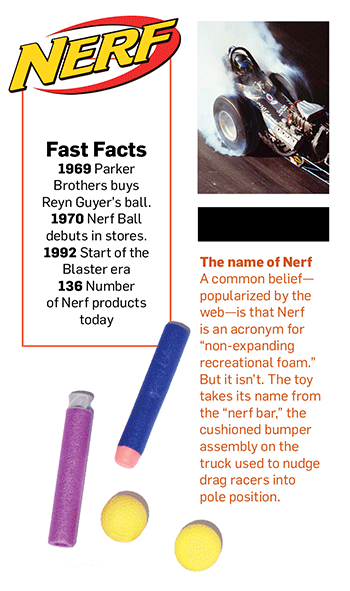 To their credit, Nerf’s owners never stopped diversifying. The product mix first expanded in 1972 with the Nerfoop (a basketball game set) and then the Nerf Football (actually invented by Minnesota Vikings kicker Fred Cox). But the true game changer began in 1992 with the Sharpshooter, a spring-loaded dart gun that shot Nerf projectiles and marked the start of the Blaster era. In fact, parents might just want to play with Nerf gear and leave the kids out of it. Nerf’s arsenal of blasters includes the Nerf Rival, whose Artemis XVII-3000 high-capacity blaster holds 30 rounds of Nerf balls and fires them at 68 m.p.h. 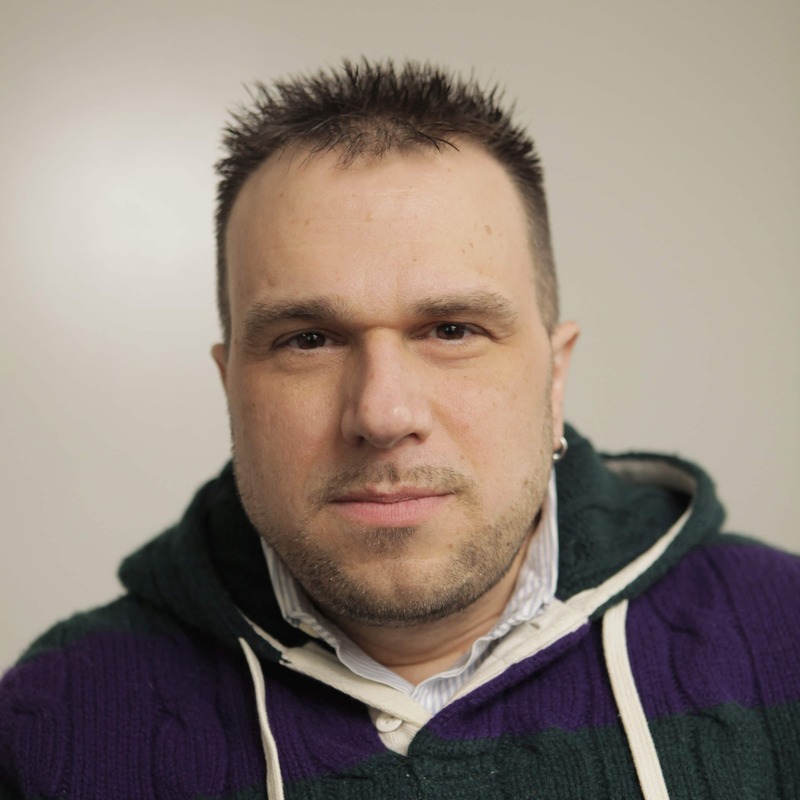 According to Nerf’s VP of global marketing Michael Ritchie, Nerf hasn’t stayed relevant despite the digital age, but because of it. 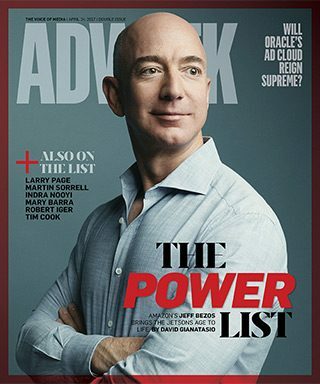 This story first appeared in the April 24, 2017, issue of Adweek magazine. Click here to subscribe.